Fans of ghostly Victoriana like Susan Hill's The Woman In Black will likely enjoy This House Is Haunted, a sinister tale with a resolute heroine from Irish author John Boyne. This House Is Haunted has many of the classic hallmarks not just of the traditional ghost story but also of the Gothic novel, so much so that there are times when it is almost parodic, albeit darkly so - a young woman finds herself in peril in a rambling, fog-bound house; servants and locals are mysteriously tight-lipped; children are eerily precocious. There is sickness both mental and physical and Gaudlin, the haunted house of the title, becomes almost a character in its own right. What sets the book apart is not the plot and atmosphere - although these are both very well-executed - but the characters, in particular the narrator Eliza Caine. The story begins with the death of Eliza's father, her only relative. Grieving and unsure how her job as a teacher in a genteel school for little girls will pay the rent, Eliza decides on impulse to leave London and take up a post as a governess to two children, Isabella and Eustace, in a large Norfolk manor house. No sooner has she disembarked from her train does Eliza have the uncanny sensation that someone is trying to push her from the platform, and when she arrives at Gaudlin to meet the children who are to be in her care, she continues to be plagued by similar mysterious and terrifying occurrences. What's refreshing about Eliza is her curiosity, her determination and her rational analysis of her situation. Eliza is no hysterical heroine of a sensitive disposition, and her self-awareness is not just important to her handling of the mystery that surrounds Gaudlin, but also entertaining. Her independence, dry wit and forward-thinking views on certain social issues, if not necessarily likely for a woman living in the 1860s, elevate her above the average Victorian Gothic female protagonist, and her innate kindness is also an endearing counterpoint to her impressive courage. The children are also much more than the standard creepy kids of many a horror story, and the different ways in which they each deal with the challenges of their situation are fascinating and credible. 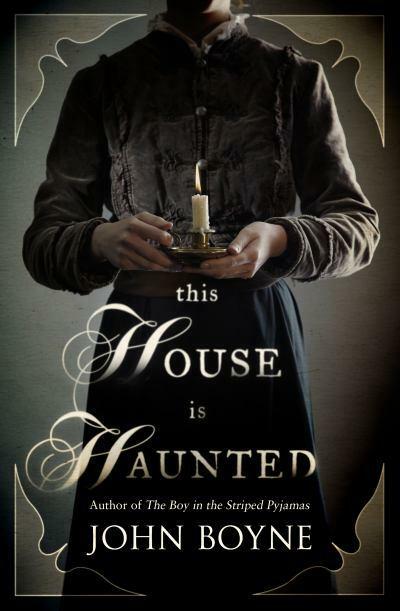 I can't say that I found many real surprises in This House Is Haunted, and there are perhaps attitudes and language in the book that I considered slightly anachronistic (plus, the Norfolk locals' turn of phrase doesn't seem much like anything I'd ever associate with East Anglia). Plus, there's no real room for the kind of tantalising ambiguity readers would find in, say, Sarah Waters' The Little Stranger or Henry James' tautly oppressive masterpiece of psychological horror The Turn Of The Screw. But honestly? None of this matters: it's an atmospheric ghost story with strong, solid characterisation and an expertly rendered, old school fireside chiller which I thoroughly enjoyed for its own sake. Excellent stuff.